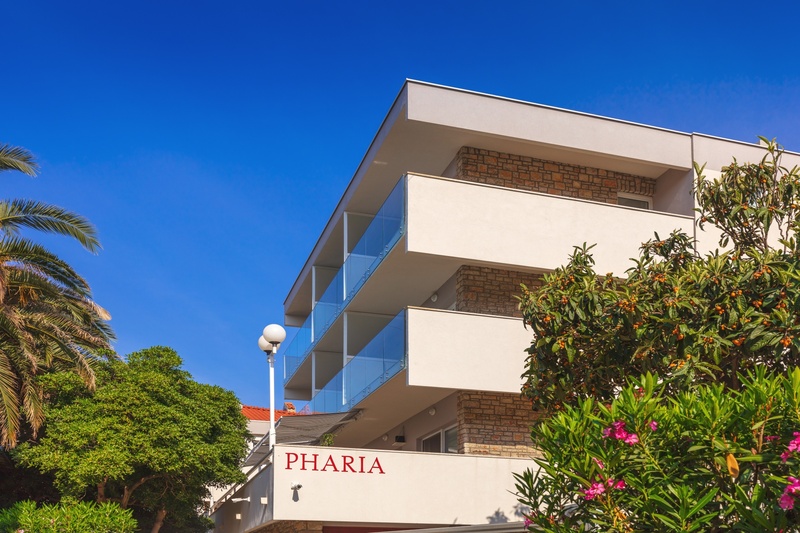 Hotel Pharia provides accommodation in Hvar island which is the most popular island in Croatia. The nearest beach is just 80 m far away from the hotel. 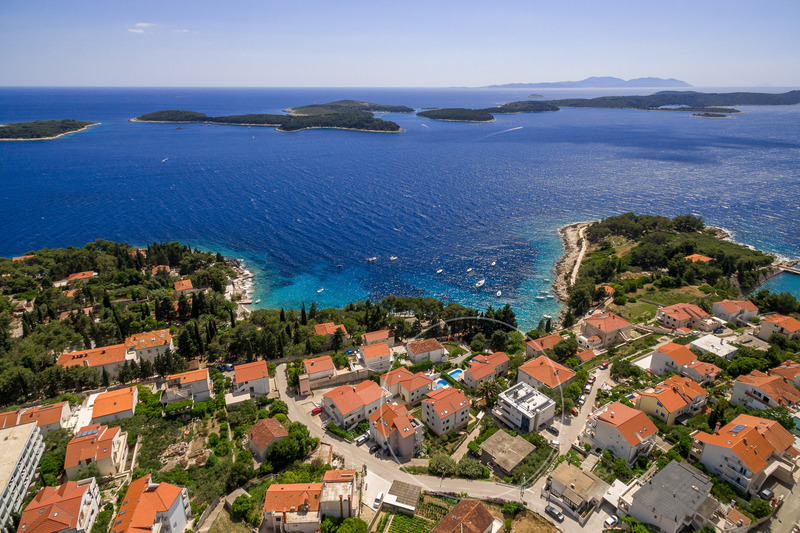 Island Hvar is one of the top destinations in Croatia. Parking in front of the hotel included in the price. Wi Fi Internet in the entire hotel included in the price. 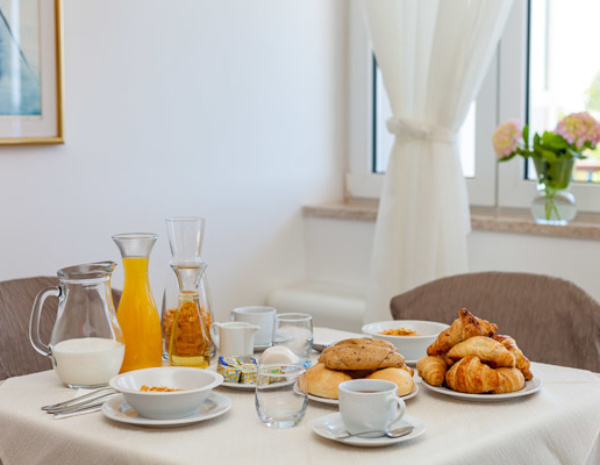 Every morning you can enjoy our delicious continental breakfast. 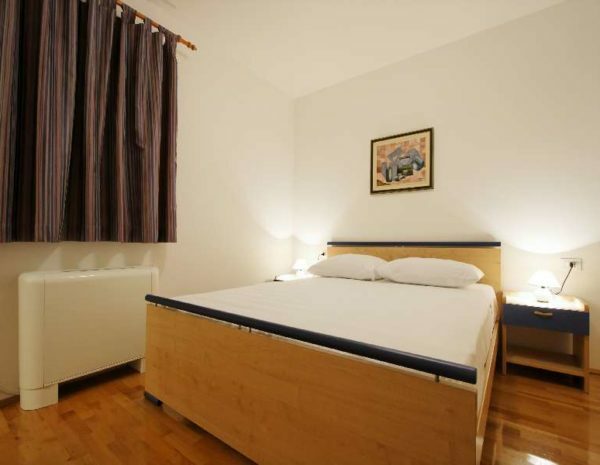 Hotel Pharia provides accommodation for your Croatian vacation in rooms and apartments in two buildings. 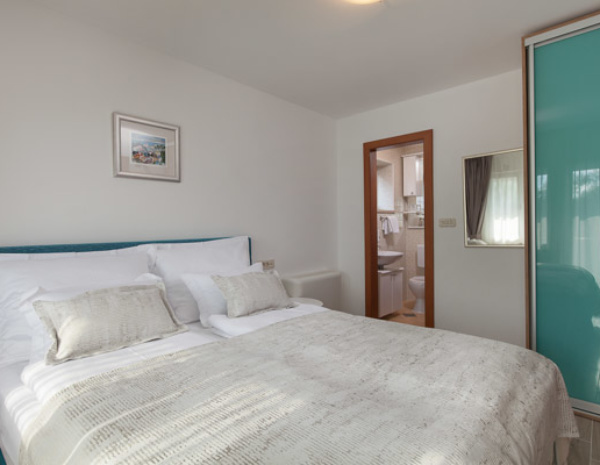 Ten apartments, four mini suites and six rooms recently refurbished to a very high standard, to meet all your everyday conveniences and create comfort for your holiday. 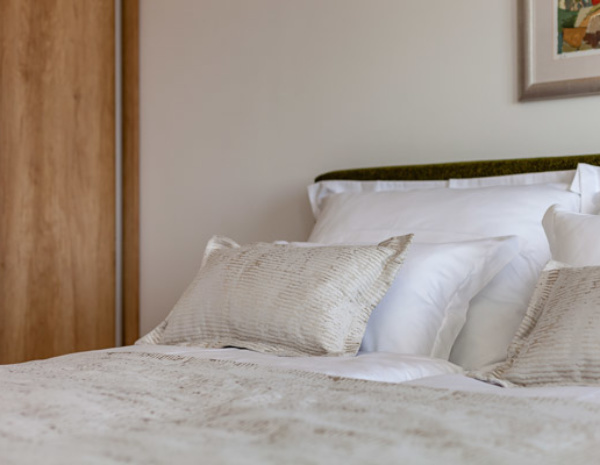 Newly refurbished double bed rooms with sea views offer ample amenities including double bed, en-suite bathroom with a shower, private balcony, satellite flat TV, telephone line, hairdryer, air conditioning, wifi internet connection that also connects throughout the entire building. Breakfast is also included in the price and is served every morning at the hotel's dining area and terrace. 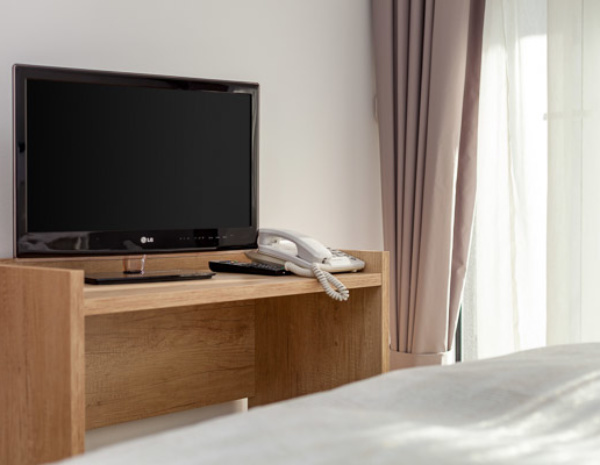 All your valuables can be stored in a safe located in the reception, where our attentive staff, available 24/7, will help you make your stay even more enjoyable. 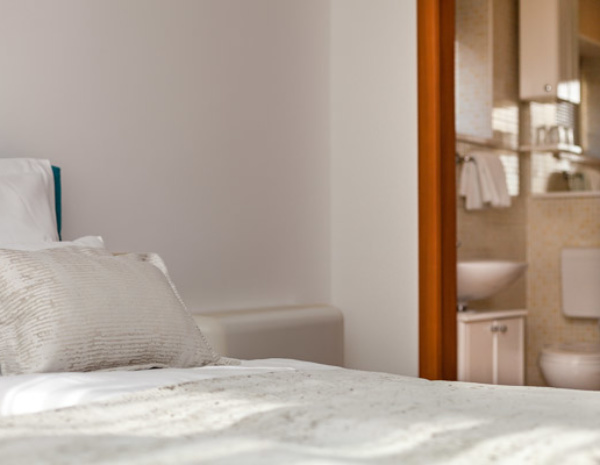 Double or twin bedded rooms with park views at Hotel Pharia all have en-suite bathrooms with showers and feature in room facilities including a satellite flat TV, telephone line, hairdryer, WiFi. The price of the room also includes our delicious brekfast served every morning at the hotel's dining area and terrace. All your valuables can be stored in a safe located in the reception which is open 24/7. 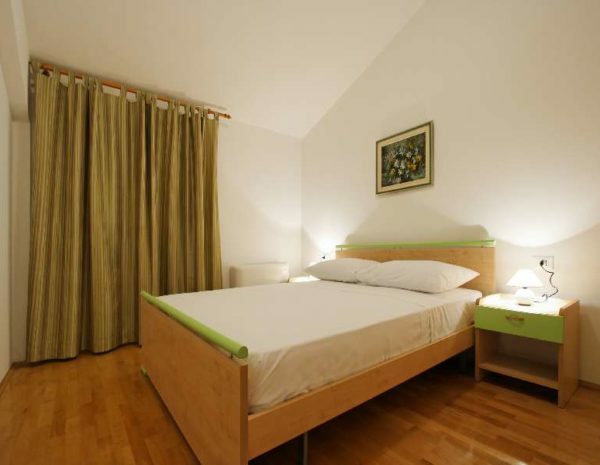 Aparthotel Pharia has 4 mini suites (double room with a living room) with a sea view. Each of them has a lobby with a wardrobe, bedroom with a double bed, dresser, night stand and a mirror, living room with a sofa, table and a TV, bathroom with a shower cabin and a balcony with a table and two chairs. 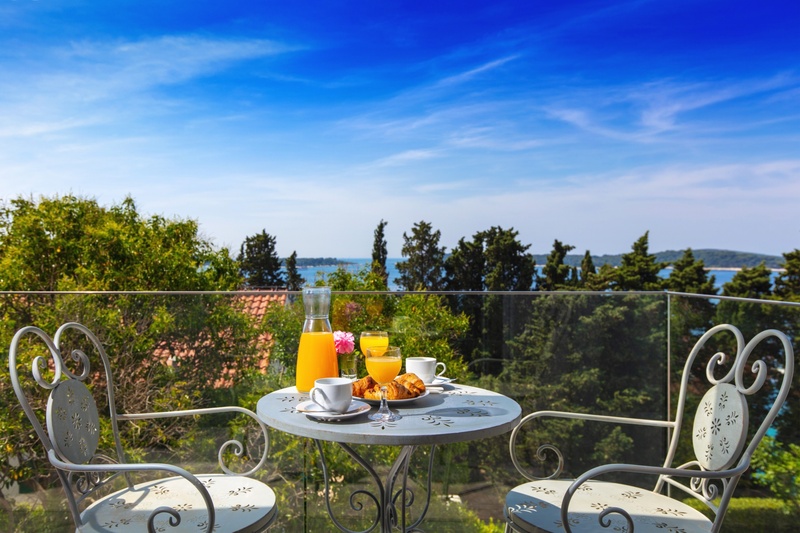 Breakfast, served at the hotel's dining area and terrace, is included in the price. Your valuables can be stored in a safe which is located in the reception, where our attentive staff is there for you 24/7. 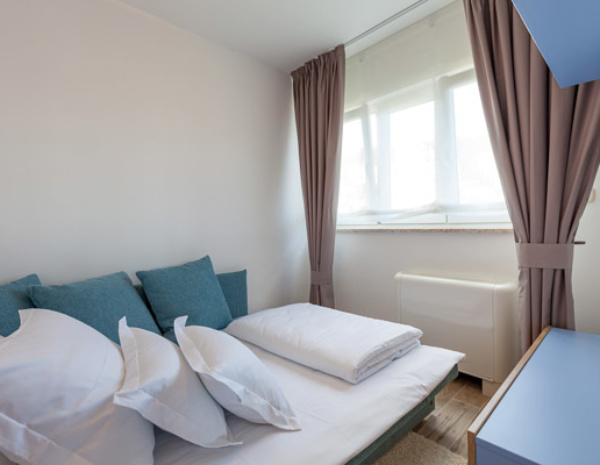 Every apartment consist of a lobby, bedroom with a double bed, kitchen, bathroom with a shower cabin, living room with a sofa that can be turned into a bed for two persons if necessary and a private balcony. 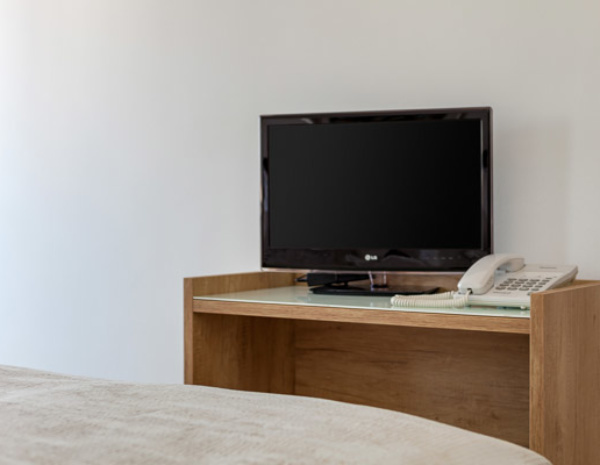 At your disposal there is a free parking spot, WiFi, air conditioning, satellite TV, telephone, hairdryer and a safe which is located in the reception. 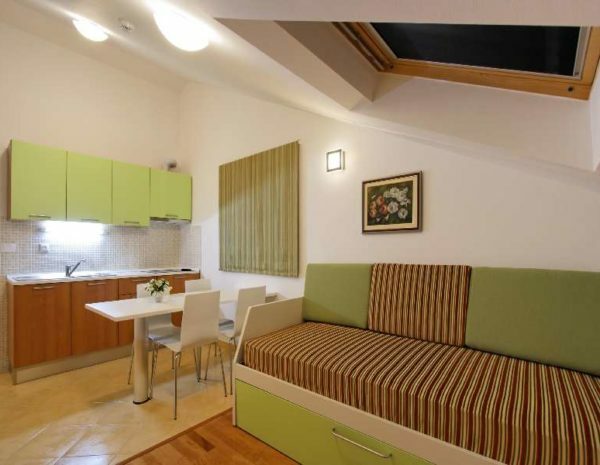 Kitchen in every apartment is equipped with a ceramic hob, refrigerator, toaster, coffee machine. 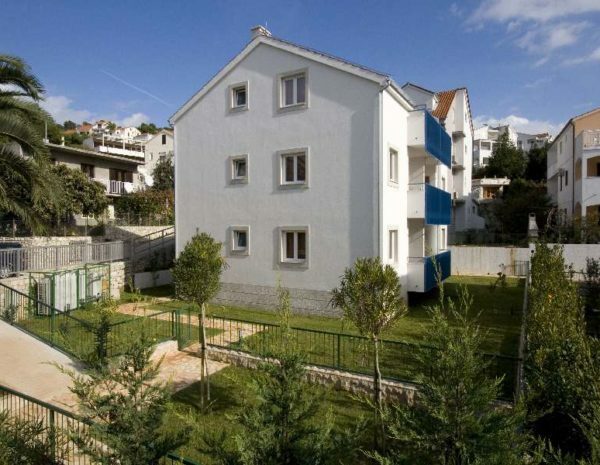 Some apartments have the possibility of turning double into twin rooms if necessary. Aparthotel Pharia apartments provide everything you need for an ideal vacation and our attentive staff is there for you 24/7. 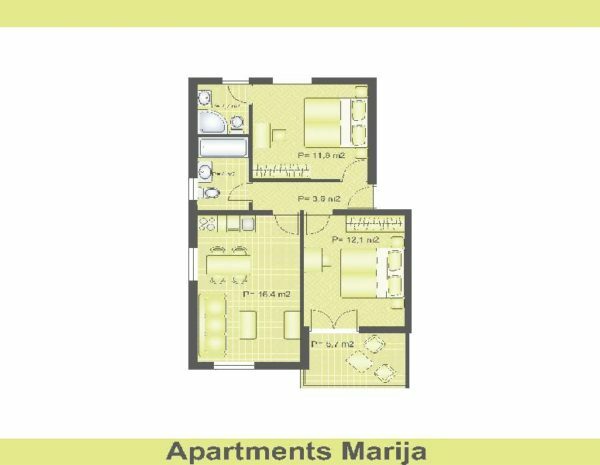 Apartments Marija consist of six studio apartments, two on each floor. 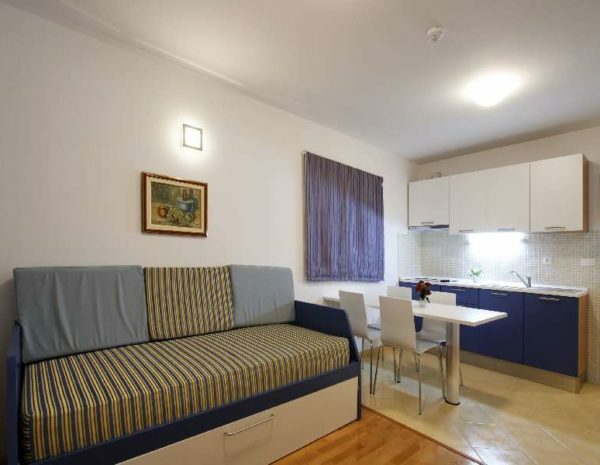 Each apartment has a lobby, kitchen/dining area/sitting room, two double rooms and two bathrooms. 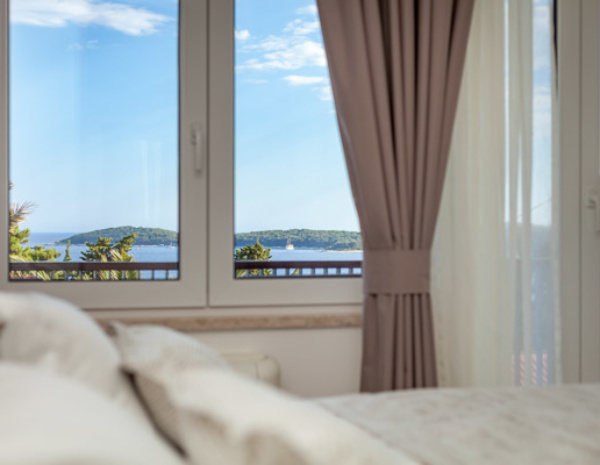 All apartments have balconies and those with a sea view provide a wonderful view of the Pakleni islands. 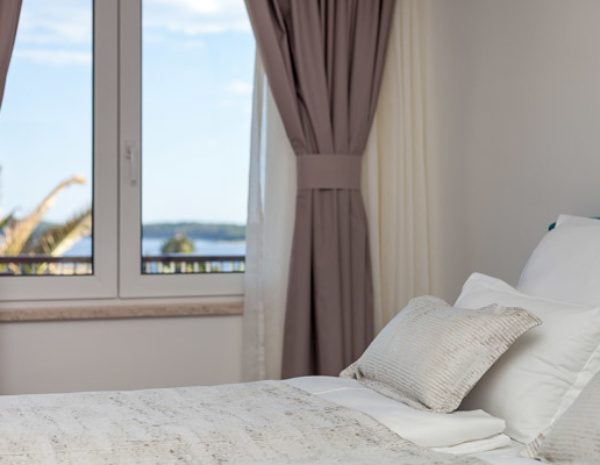 To make your stay at these apartments on Hvar Island as pleasant as possible, they have all been equipped with air-conditioning, satellite TV and direct telephone lines and Hotel Pharia's reception staff is on call 24 hours a day to accommodate all your needs. "It was our honeymoon. We had a big room with a balcony overlooking a breathtaking view. The hotel is charming and quiet. Hvar is the most beautiful island we have ever visited. Will return back." "The staff is very helpful and friendly." 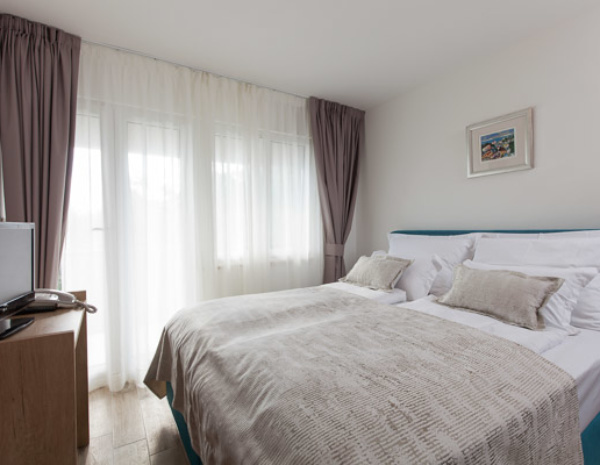 "The hotel is ideally situated between the town of Hvar and a lovely beach, everything is within walking distance. 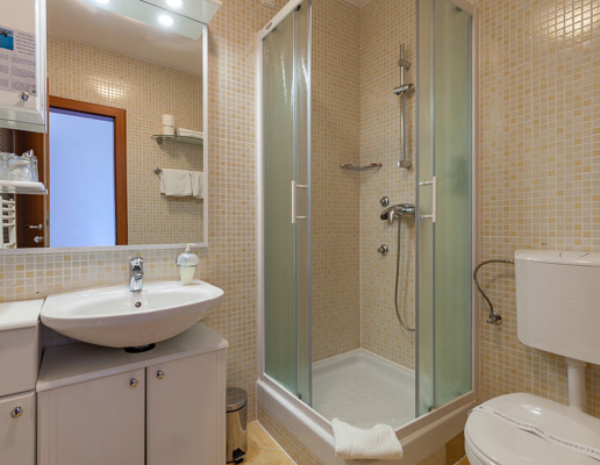 The rooms + bathroom are very clean and new. The staff is very helpful and friendly." "Spacious aparthotel room with good sea view"
"Greate hotel - good value"
"The hotel is a 15 minutes beautiful walk along the sea from the more noisy centre. And only 2 minutes walking form the hotel you will find a beach and the popular Hula Hula Beach. And 50m to a small supermarked.Rooms standard was just what you need at a good standard. Beds are maybe a little bit hard. We stayed for 4 nights and were very satisfied and will definitely recommend this hotel to other friends. " Aparthotel Pharia is very close to the water and is approx .7 miles from downtown, which makes it quiet but allows you to be downtown in 10 min walking. We walked to a number of beaches and restaurants. Most importantly, the staff was incredibly helpful and accommodating. The rooms were clean and well appointed. 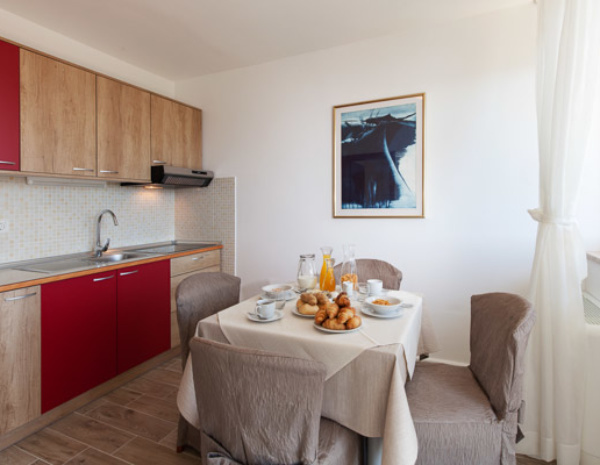 The hotel rooms come with breakfast while he apartments have a small kitchen with everything you need. Overall we loved staying here. "Me ayudaron en un momento dificil"
Oque voce espera num hotel? Limpo, hospitalidade, acessível, perto de mercado, café da manha adequado?quartos confortaveis e preço nao exorbitante. Tudo isso voce encontra no aparthotel pharia. Voltaria e indicaria para colegas com certeza. Koselig hotell med fin utsikt over bukten ved Hvar. Rene og ryddige rom med moderne interiør. Hyggelig betjening med døgnåpen resepsjon. Vi hadde inkludert frokost som var kjempegod med tilbud om egg, bacon og pølser og mer. 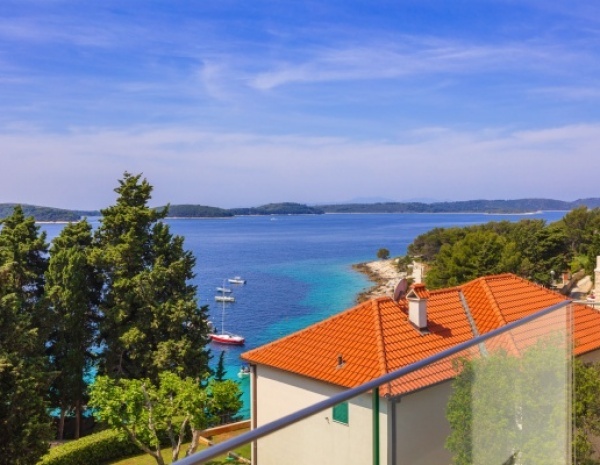 "En lyckad vecka i Hvar"
Dieses kleine Appartement-Hotel ist einfach wunderschön. 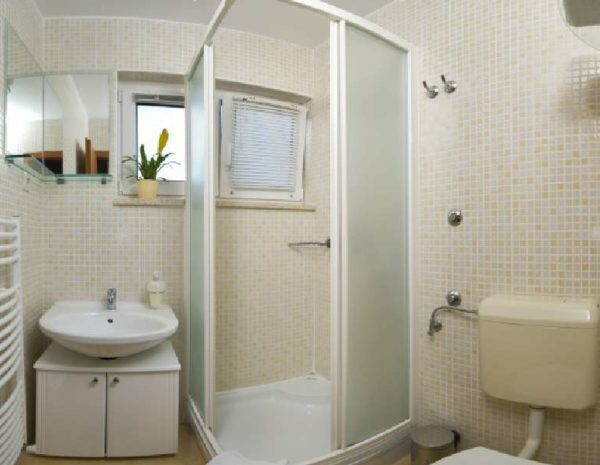 Das Personal war freundlich und hilfsbereit, die Zimmer neu, sauber und mit allem ausgestattet, was man braucht. Unser Zimmer hatte einen wunderschönen Blick aufs Meer, und obwohl wir einen Tag früher als geplant ankamen, wurden wir ohne Probleme untergebracht. Von der Stadt Hvar sind es 10 - 15 Gehminuten zum Hotel, ein wunderschöner, mit Bäumen gesäumter Fußweg am Meer entlang. In der Nähe von zwei Strandabschnitten mit Liegestühlen und Freizeitangeboten. Wir hatten eine wundervolle Woche!
" Séjour excellent. Au top. Je recommande"
L'aparthotel est situé à 15mn du port de Hvar à pied, donc sans être très loin sachant que la balade le long de la mer est très belle. Hula hula à 5mn à pied pour les jeunes. Crique à 2mn en bas de la résidence (voir photos). Privilégier une vue mer si vous le pouvez car c'est magnifique et vue sur les iles Palkeni exceptionnelle. Balcon à chaque appart, avec une table et 2 chaises. Climatisation dans tout l appart. Les logements sont quasi neufs. Nous étions en couple avec une chambre et un séjour. Lit confortable. La cuisine au top pour cuisiner, vous ne manquez de rien. Vous avez une petite table pour 4 personnes. Pour ce qui est du bruit vu sur d'autres commentaires, nous n'en avons pas trop eu. Le hula hula ferme à 23h et dès 22h le son est coupé donc franchement c'est correct. Hvar est une destination jeune donc oui vous croiserez certainement des voisins partant faire la fête le soir. Je conseille vraiment cette résidence sur Hvar, je pense une des meilleures en terme de localisation, propreté, proximité criques... Personnel très agréable. Vous avez un petit market a 150m pour faire vos courses. Vous pouvez louer bateau, voiture et scooter soit via le personnel, soit autour de la résidence. 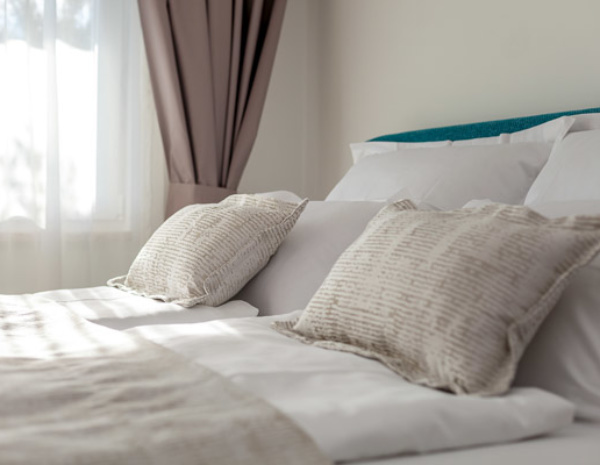 Les femmes de ménages vous laissent tous les jours de nouveaux draps de bains. Il manque seulement le coup de balai (pas de balai dans l'appart) et de serpillières que les femmes de ménage ne font pas même si vous indiquez souhaiter qu'elles fassent la chambre/appart. Honnêtement nous n aurions pas pu trouver mieux. Bon rapport qualité prix !!! If you want to have an active vacation rent a bike for only 15 Euro per day. Rent a beach towel for only 1,5 Euro per day! If you need a baby cot, please contact us, it is available on request. Friendly staff of the aparthotel is there for you 24/7. Do not hesitate to ask them anything you need. 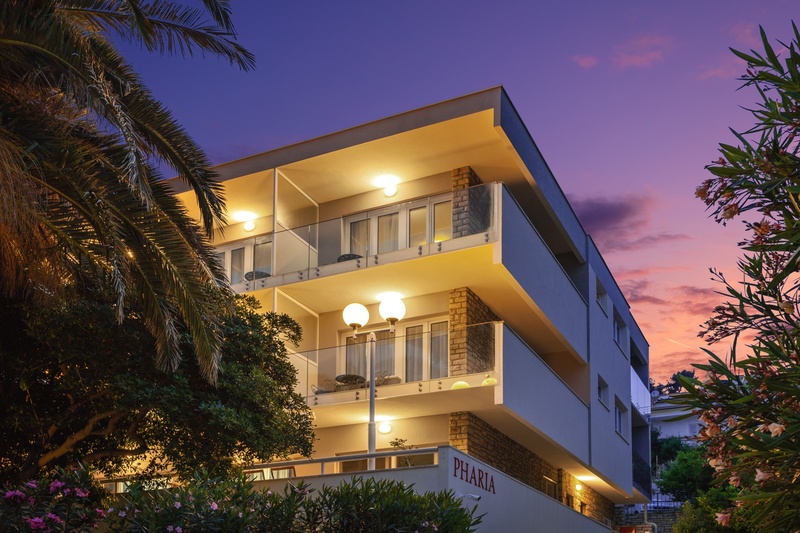 Aparthotel Pharia is located only 50 meters from the beach and 15 minutes walk from the town centre. 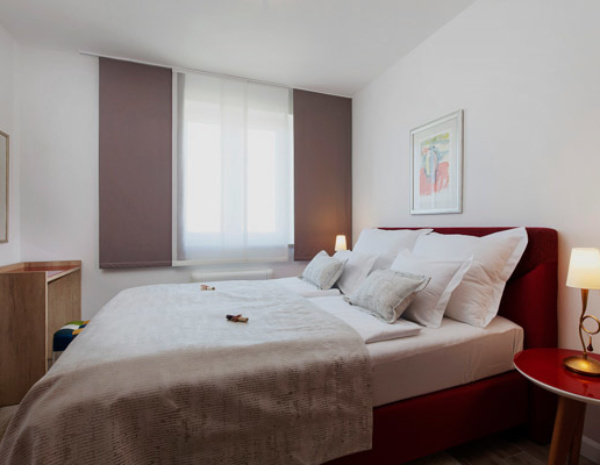 (c) Copyright Aparthotel Pharia. All Rights Reserved.